Explore the inner workings of Comprehensive Tech Plans, Smart Schools Investment Plans and more. 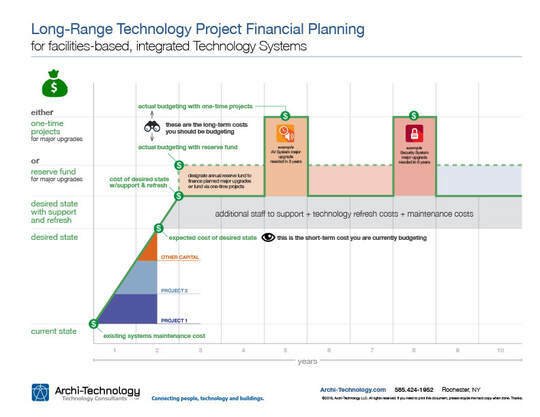 See the relationship between a CTP and other planning efforts as well as an implementation timeline. View PDF. Here's why 10-year technology objectives need to align with a district's long-range goals. View PDF. Learn the technology systems that should be surveyed during your district’s ’19/’20 BCS. View PDF. ​Learn the difference between the tech project budget you may have in mind and the one you should. View PDF. 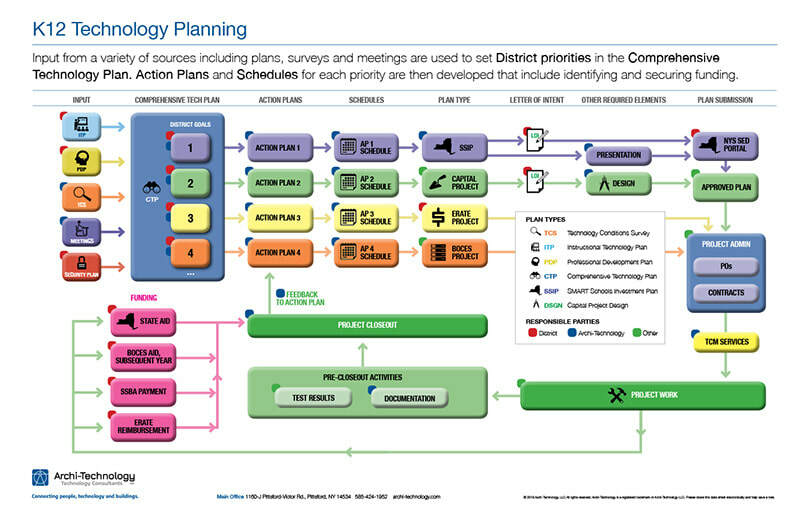 ​​Learn how a CTP includes a district's existing priorities, action plans, and schedules. View PDF. ​Discover how a CTP is developed based on existing data, goals, funding sources, and projects. View PDF. ​Is your district using some of its NYSED aid to assess the conditions of your building's technology systems? View PDF. 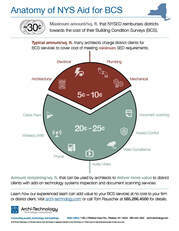 ​While Building Conditions Surveys focus on your facilities' AMEP systems, a Technology Conditions Survey looks at your buildings' digital systems. View PDF. While NYSED provides about 30¢/sq. ft. of facility space for a school district's Building Conditions Survey (BCS), many districts leave more than two-thirds of that aid unspent. This available excess funding can be used to assess the current conditions of your district's technology infrastructure and interconnected IP-based building systems including Network Connectivity, Communications, Instructional Technology, and Security. The findings from these Technology Conditions Surveys (TCS) provide an objective baseline of data that can be used to develop an accurate Comprehensive Technology Plan. View the one-page PDF.